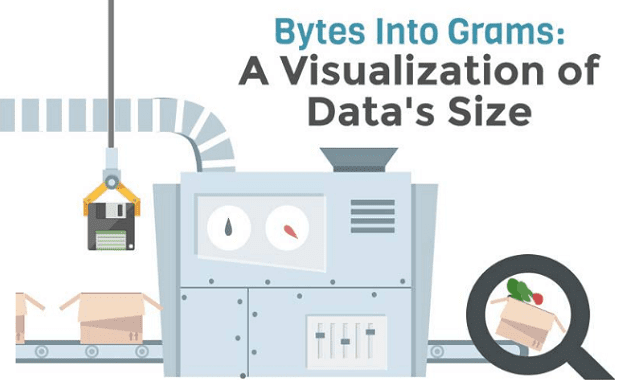 Bytes into Grams: A Visualization of Data's Size #Infographic ~ Visualistan '+g+"
Big data is catapulting to the forefront of research and innovation in nearly every field. When analyzed and applied judiciously, it can predict business trends, stem the spread of diseases, combat crime, and provide optimized entertainment. The possibilities are endless when we unite human sensibility with the numbers. It is theorized that 90% of all data in the world has been created in just the past few years. It is an exciting prospect to imagine what is next.